What do Germany, Italy and Spain have in common? More than half of the foreign exchange students in the Clark County School District (CCSD) come from those countries. CCSD presently has 150 foreign exchange students attending 27 high schools throughout the valley. Arbor View High School has the largest number of exchange students, with 16. They are followed closely by Legacy and Shadow Ridge High Schools. Foreign Exchange Coordinator Mark Schumm said the vast majority of foreign exchange students attending CCSD high schools are sponsored by an organization such as the International Cultural Exchange Service (ICES). 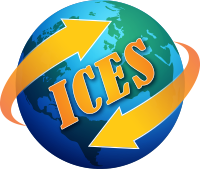 ICES is one of 18 different organizations that has placed exchange students in area homes for the current school year. Most of the exchange students are in Clark County on a J-1 visa, having been approved by the U.S. State Department and the Council on Standards for International Educational Travel (CSIET). There is no limit as to how many foreign exchange students CCSD will accept. However, Schumm said all participating students must be at least 14 and not over 18 by Sept. 30 of any given year. Schumm cites the advantages of having exchange students in CCSD schools, saying they bring diversity and insight about foreign lands to local students, while also helping the exchange students get an intensive understanding of Nevada and the U.S. This year, CCSD is hosting exchange students from 26 countries including Germany, Italy, Spain, Argentina, Austria, Brazil, China, Colombia, Denmark, Norway, Thailand, Taiwan, Portugal, Vietnam and Sweden. 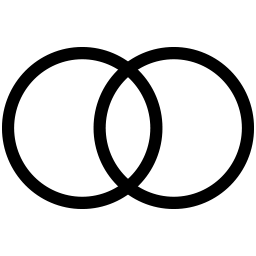 Exchange students are required to take English as well as a U.S. Government or U.S. History course, and they must maintain good attendance and grades of “C” or better. Lucille Peveler, a mathematics teacher and the Student Council advisor at Basic Academy of International Studies, has been working with foreign exchange students for eight years. 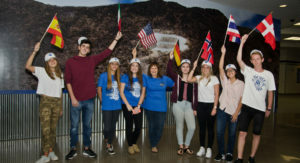 All of Basic’s exchange students are in Student Council as part of the school’s Principles of Leadership class. Basic’s exchange students share this enthusiasm. They are especially excited about having music in school, which Peveler said is not common in public schools elsewhere in the world. In Denmark, for example, music as well as athletics are not mixed with school, which is strictly for academics. Another source of enthusiasm for the exchange students is school-sponsored community service. As explained by Peveler, many of these students do not have the opportunity for those types of experiences in their home countries.